intensive use and unmatched performance for the most demanding users. The MIT400 series replaces the famous BM400 and BM80 with more extensive features and increased security. Their compact and lightweight and compatibility handedness in fact an extremely popular product. 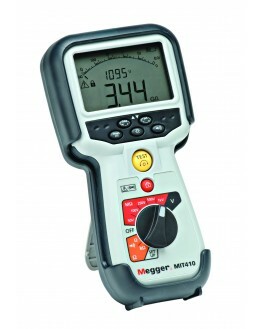 The display offers dual digital display and the famous fast and accurate analog bargraph Megger. Test results are displayed in large characters. 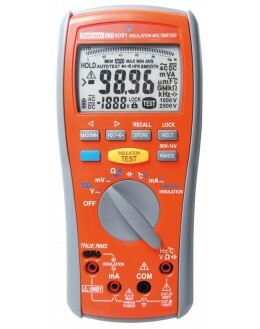 The ancillary information such as frequency, leakage current, test voltage and residual voltage are displayed in smaller font. MIT40X models dedicated to isolation measures directed TBT Telecomor specific. The span of the insulation resistance is unsurpassed by 20 GW to 200 GW. 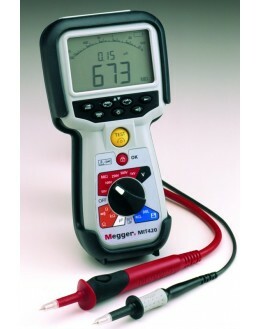 applied and that the leakage current. Dielectric (DAR). A timed test of isolation is also available and adjustable from 1 to 10 minutes. To facilitate verification, the user can set a minimum insulation resistance below which the alarm beeps. 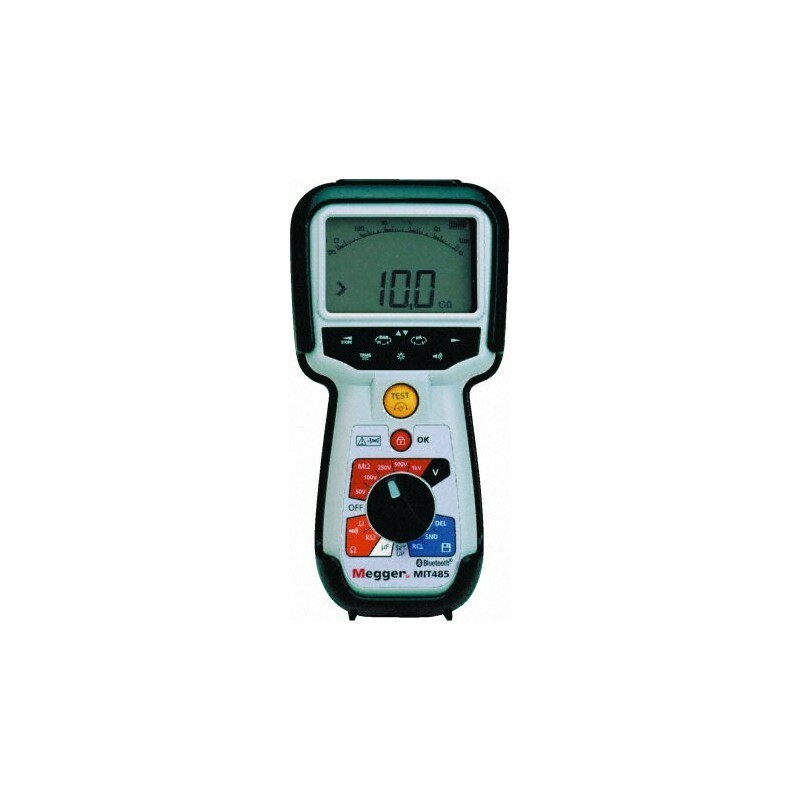 The MIT40X has an isolation test voltage programmable from 10 V to 100 V in steps of 1 V. The device is configured by the user to be fully compliant with the requirements of the application without having to return the factory. 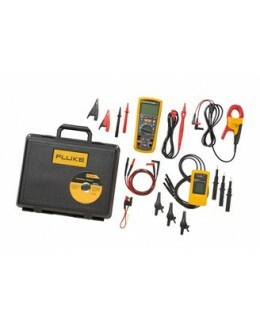 a quick check of the resistance and continuity on all types of circuits and particularly on the ground conductors. significantly extend the life of batteries. A snapshot of continuity beeper, adjustable according to the values ​​required by the legislation in force, allows the rapid tests when there is no need to record measured values. This beep can be disabled by the user for use in environments where discretion is required. 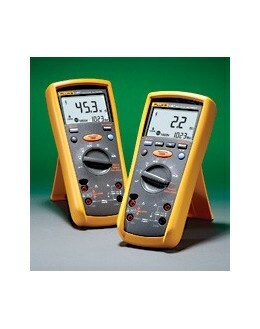 measurement quality unmatched in the isolation resistance values ​​higher and especially above 10 GW. 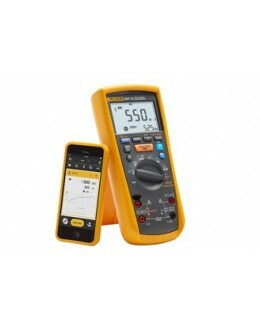 The MIT420 and MIT481 store the test results and allow easy recall of the screen. 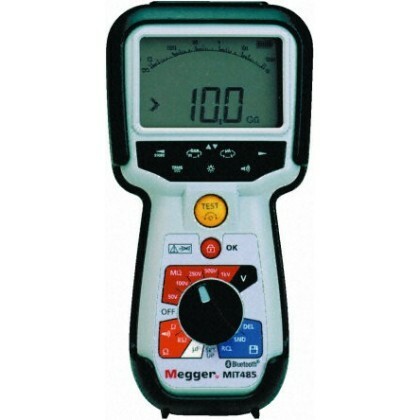 The MIT430 and MIT485 store the test results and can transfer them to a PC using the supplied software Megger Download Manager. Bluetooth ensures total isolation between the PC and the instrument for the implementation of the transfer. 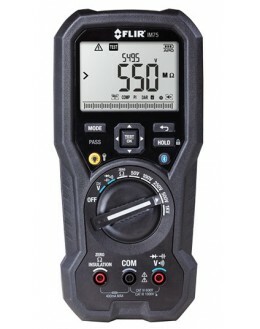 USENo Category IV 600 V.
the telecommunications industry, the MIT480 and MIT481 provide insulation test voltages of 50 V and 100 V.
The inhibition threshold of the test on presence detection voltage can be raised to 75 V to allow tests on cables with voltages induced by coupling or noise. 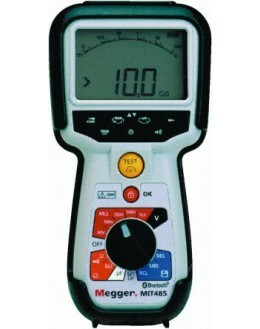 The MIT481 and MIT485 display cable length from the measurement of capacity of the cable tested. 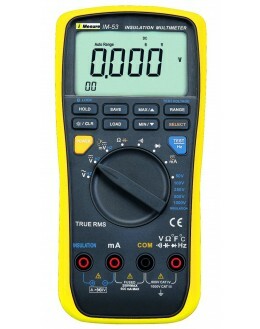 the test voltage isolation between 10 V and 100 V.